This website does not offer any user registration, it is used only as a showcase of the association activities, as such there is no need or means of collecting any personal information as name, email, address etc. etc. The only information collected about a visitor is the link visited, the time and the originating IP address. This information is used only to detect possible hacking attempts (i.e. brute forcing the website administrator password) and only for a short period of time, typically a few days. For example, if an IP address (typically a computer) is trying repeatedly to guess the administrator password, security measures will be taken in order to stop accepting requests from this address. Even when contact forms are used intentionally to contact the website administrator, the email and name used are shortly stored on the system logs that register any activity regarding email activity on the system for security reason and are purged in a few days. Eucass has observer status in the Initiative for Science in Europe (ISE). It relays its actions, particularly that which is aimed at collectively responding to EU about funding priorities. This may be of critical importance to your own research over the coming years. Thank you for joining us in Milan last July. In total, you were 600+ delegates including 160 students. To us, this was extremely gratifying and it appears you appreciated the event quite a lot! Special thanks to the 254 of you who took time to answer our “feedback questionnaire”. You were 43%, quite a nice score! Your comments are very detailed and will undoubtedly help us to prepare an even better congress in 2019. The following chapters summarize the main findings. Please contact us if you wish to read the complete feedback document. You find the document in pdf format here. EUCASS, second largest aerospace conference at the continental scale, and first of its kind in Europe since 2005, will come to Spain in 2019. You find more information at the website event www.eucass2019.eu . The abstract submission is now open! Please find here the E-CAero newsletter #24. Included you find a few announcements of future events organized by one of the E-CAero partners in the H2020 E-CAERO framework, the EUROTURBO association. The usual review of recently published journals and patents of interest is enriched with data from the International Journal of Turbomachinery, Propulsion and Power, the open-access journal of EUROTURBO. For the section "Patents of intereset", a few were about Galileo, the European Global Navigation Satellite System (GNSS). Galileo went live recently, a historical moment for Europe and all users across the world: improved accuracy and novel possibilities are offered. For more infos about global and regional navigational systems, have a look here. It is interesting as well to know what is EGNOS, Europe's regional satellite-based augmentation system (SBAS). In particular, for the use of Galileo in aviation, please consult this exhaustive online resource in this page of the European Global Navigation Satellite Systems Agency. Visit their website, there is a plethora of interesting articles and news about Galileo. You can enhance visibility of your own scientific work, increase its readership and bring it faster to the attention of potential readers through this newsletter. To find always the latest news for the events organized by the E-CAero members, do not forget to visit the Aerospace Europe (ae in short) website. The full papers of the 7th European Conference for Aeronautics and Space Sciences are available in open access with their respective dois at the association website. A certain number of presentations of invited speakers are available as well for your perusal. The Aerospace Europe CEAS 2017 (6th CEAS Air & Space conference) will soon take place Oct. 16 - Oct 20 at Bucharest, Romania. In the frame of the 6th CEAS Air & Space conference announced above as joint event of all associations, a workshop on "Innovation in Aero-Engines" organized by E-CAero partners will be held on October 18, 2017 in session S32 (13:15-15:15). Please consider that the programme is not definitive, so it may be subject to changes. Always check the conference program page here and here for the official dates and times. EUROTURBO is organizing its 13th European Turbomachinery Conference, ETC13, at the EPFL, Lausanne, Switzerland, April 8 - April 12, 2019. The website of the previous edition, held in April this year, is available here. The first call for papers will be released soon, please check the organizer or the ae website from time to time for the first announcement. The open-access library of the EUROTURBO Society, available here, already hosting the papers ETC10 and ETC11, will be enriched this October with the papers of the ETC12 conference recently concluded. The digital library of the ae platform contains in open access many papers and books from E-CAero partners, including papers of ETC and CEAS conferences. Our readers are strongly encouraged to browse the library for interesting articles collected in a centralized repository. For your convenience, starting from newsletter #10 we provide for each article the keywords selected by the respective journal editor. At the same time, our newsletter editor or his helper is classifying the most interesting articles for our E-CAero partners according to certains areas of interest. You'll find below first the usual classification with links to the proper article in the classical article list based on the different journals presented in this newsletter. The toc of the last issue is reported below for your convenience. The toc for the last issue is reported below for your convenience. Since newsletter #23, a couple of new volumes have been published and the last one is in progress. Volume 140 is being compiled, the toc at the time of this writing is reported below for your convenience (please remember that is a work in progress). Nath, Triloki and Gupta, R.K. and Singh, L.P.
Vatankhahghadim, Behrad and Damaren, Christopher J.
Cornara, S. and Pirondini, F. and Palmade, J.L. Evans, William Todd and Neely, Kelsay E. and Strauss, Alvin M. and Cook, George E.
Pardini, C. and Anselmo, L. and Lucchesi, D.M. and Peron, R.
Heinisch, Philip and Auster, Hans-Ulrich and Plettemeier, Dirk and Kofman, Wlodek and Herique, Alain and Statz, Christoph and Hahnel, Ronny and Rogez, Yves and Richter, Ingo and Hilchenbach, Martin and et al. One of our readers reminds us to check the interesting articles collected in open access by the EUROTURBO society in their International Journal of Turbomachinery Propulsion and Power. 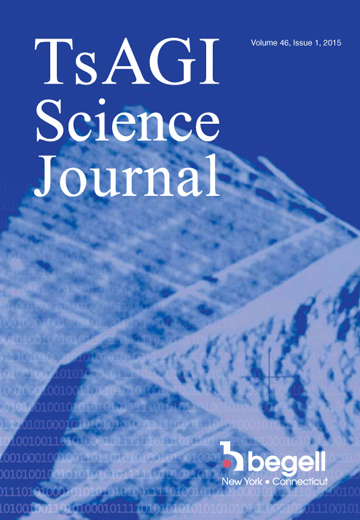 Of particular interest is this article from the Editor-in-Chief, introducing the journal as an open access dissemination tool for research on turbomachinery. The journal has been founded in late 2016 and published 2 volumes for a total of 5 issues so far. Below you find all the articles published for your convenience. The following patents have been selected from the EPO database using the following criteria: "WORD = galileo AND WORD = satellite AND WORD = 'solar panel' AND PUA12 >= 20160101". In this case, this means all patents whose A1/A2 documents both have been published after January 1, 2016 and contain the keywords aforementioned. Since patents can be filed towards different organizations, sometimes the data available in the EPO database (the version available for free online) is not the most complete. In that case an external link is used. Many patents are related to multiple navigation systems, due to the simplicity and benefits of using multiple satellite networks based on availability, but when Galileo and EGNOS are in use, increase in accuracy are enviseageables. On this topic we see many patents filed by chinese companies. There are different tools online to browse/search patents, for example google and the wipo. Here we will be using the EPO Patent information services for experts, from this address. It is possible to browse patents based on many parameters, inventor name, applicant/proprietor (usually a company), application date, etc. etc. In the future we will consider patents that have published their A1/A2 documents since the date of the last newsletter. The definition of A1 and A2 are available here. Basically when a European patent application is published together with the search report done by the agency, it is known as an A1 publication. When this application is published without the search report, it is an A2 document. The search report is then published later as an A3 document. When the patent is granted, it is published as a B document. This newsletter (as the recent ones) has been funded by the E-CAero2 (European Collaborative Dissemination of Aeronautical research and applications 2) framework.